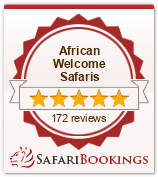 African Welcome Safaris is pleased to offer you our latest exciting Bush & Beach package combining Jock Safari Lodge (Kruger National Park) and Marlin Lodge (Benguerra Island, Mozambique). What could be better than combining an exciting Safari viewing the Big Five and ending it with 4 Nights on pristine white beaches in Mozambique ? Children of all ages are welcome at Little Jock and Marlin Lodge. Subject to our Standard Terms & Conditions.